All tests performed by Soil Control Laboratories, Watsonville, CA; using TMECC/STA specified methods. The Compost Outreach Project provides Snohomish and King County farmers with an opportunity to see first-hand the benefits of incorporating compost into their cropping systems. Our on-farm research is helping document the value of using compost in local cropping systems, and create a sustainable system for returning urban landscape and food waste energy to local farms. Soils for Salmon: The Urban Environment - Why Build Healthy Soil? Soil performs valuable functions: nourishing plants, absorbing and cleaning stormwater. These functions are often degraded during development when soil is removed or compacted. Restoring healthy soil is essential to protecting our waterways and salmon, and our way of life in the Puget Sound region. Compost amendment restarts the soil ecosystem – restoring functions in soils disturbed during development. Tilling in compost immediately reduces soil compaction and increases stormwater infiltration rates. The compost feeds and creates habitat for beneficial soil organisms – restoring the ecosystem in degraded soils, so they begin to function again more like native soils. Learn more about the ways to reduce food waste and "close the loop" by contributing to composting here. 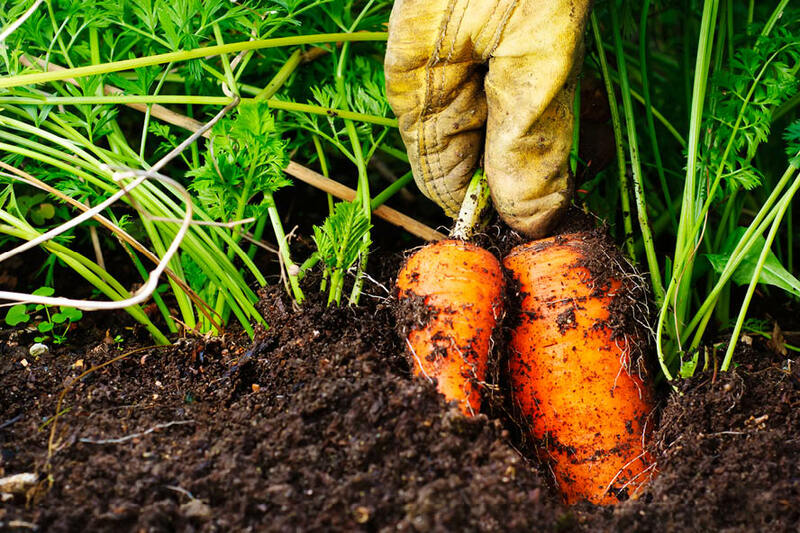 "Scientist have recently discovered that applying a thin layer of compost sets up an ongoing positive feedback loop that brings more and more carbon into the soil each year." Kiss the Ground, an organization commited to battling climate change, tells us how compost plays a major role in environmental responsibility. Watch The Soil Story here and learn more. Cedar Grove partnered with Washington State University Snohomish County Extension to conduct compost trails with local farms. The trails conducted showed significant improvements in crop yields after the application of Cedar Grove Compost. "With the potential to increase production of some specialty crops by 20 percent, this could have a significant economic impact on Washington's specialty crop industry," said Andrew Corbin, Extension agriculture and natural resources educator. Crops participating in the trials included blueberries, raspberries, blackberries, hazelnuts, potatoes, hay, haylage, pasture grass, broccoli, lettuce, flowers (multiple species), pumpkins, turf grass, field corn, sweet corn, nursery and orchard trees, and more. Compost supplies quick and slow release nutrients, beneficial soil life, and organic matter that stores nutrients and moisture—in a single economical application! Cedar Grove Compost is hot composted to destroy weed seeds and pathogens, aged and screened to produce a uniform easy-to-handle amendment. Cedar Grove started the compost market in the Pacific Northwest in the 1980s. Since then, we have been continually evolving our operations to produce a high quality, consistent compost. We utilize a highly controlled scientific process including controlled aeration, temperature monitoring, curing and screening. 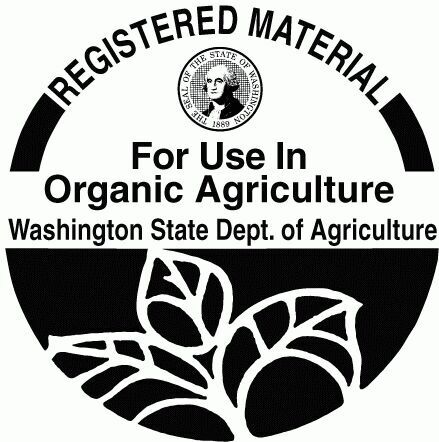 Our finished compost is sent to third party laboratories to guarantee that our product meets all standards. Cedar Grove, in compliance with the US Composting Council Seal of Testing, tests our compost prior to sale to ensure compliance with regulations. Cedar Grove is committed to preserving the Puget Sound and surrounding waterways by working with local municipalities, cities, residents, gardeners, watershed groups, associations and farming communities to improve our environment with compost. Cedar Grove continues to provide leadership and outreach to pioneer programs that allow the local region to evolve toward healthy, sustainable practices. Contact us at (206) 491-5427 or by email at ag@cgcompost.com for more information.